The new edition (translated from Michelangelo: Das Vollstandige Werk) has several revised prefaces, and its colour reproduction has been enhanced. Michelangelo's paintings look particularly stunning, and there are several fold-out pages of panels from the Sistine Chapel ceiling. The accompanying text is extremely thorough; there is a detailed bibliography, and "the full breadth of the extensive literature is referenced and analysed" in every chapter. As the book was reissued last year, it doesn't include the two bronze panther sculptures attributed to Michelangelo earlier this year. (The Torment of St Anthony, attributed to Michelangelo in 2009, is also missing.) 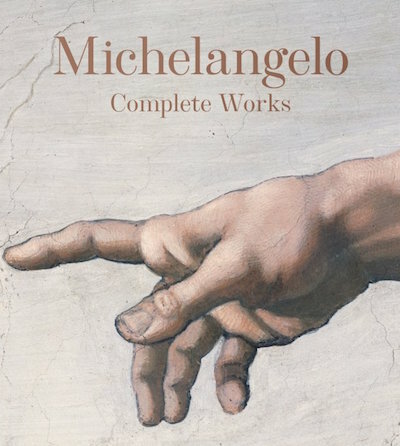 "This is the definitive work about Michelangelo for generations to come", according to the blurb, and that claim is probably justified.